So, I had kept this Samsung 971P monitor for a while in case I needed a 4:3 monitor for an arcade project. 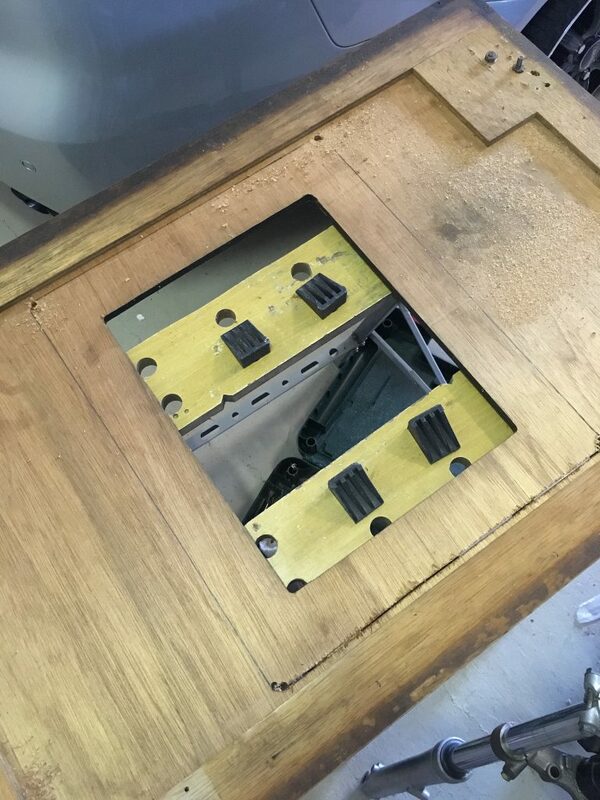 What I didn’t know was it has a PVA panel with a viewing angle of 178 degrees, which makes it perfect for a cocktail cab! It is a weird looking monitor, but the bezel is super flat, and the back of it kinda symmetrical and “level”. 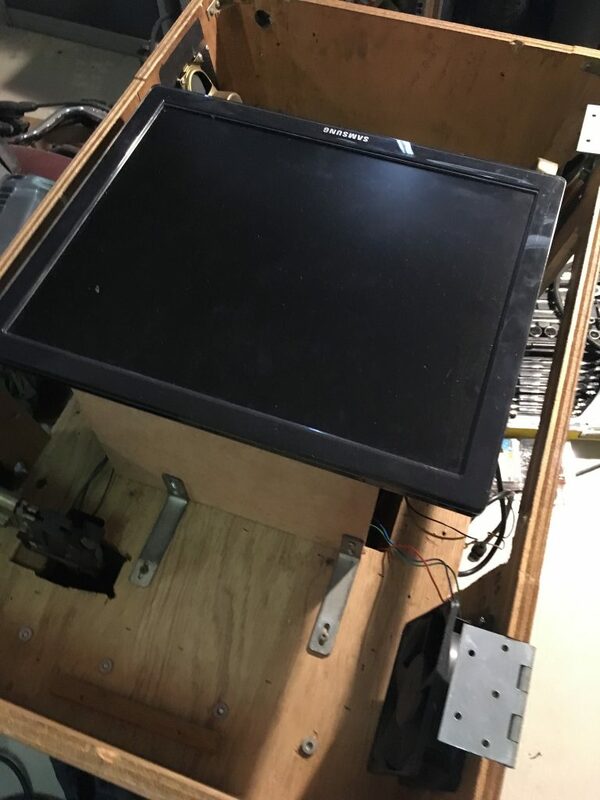 I didn’t want to attach the monitor to the lid of the cab. Actually I’m not sure I could have, because of that weird stand. 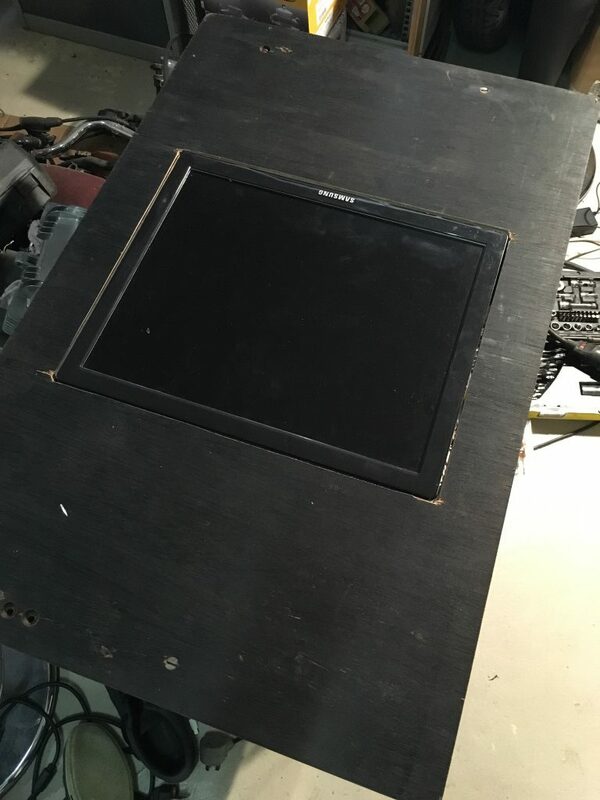 I measured the thickness of the monitor and cut 2 MDF panels that would be just high enough so the monitor is flush with the lid. I used the brackets from the old blinds I had replaced during the house renovation (you really need to keep everything ;-)) to attach those to the bottom of the cab. 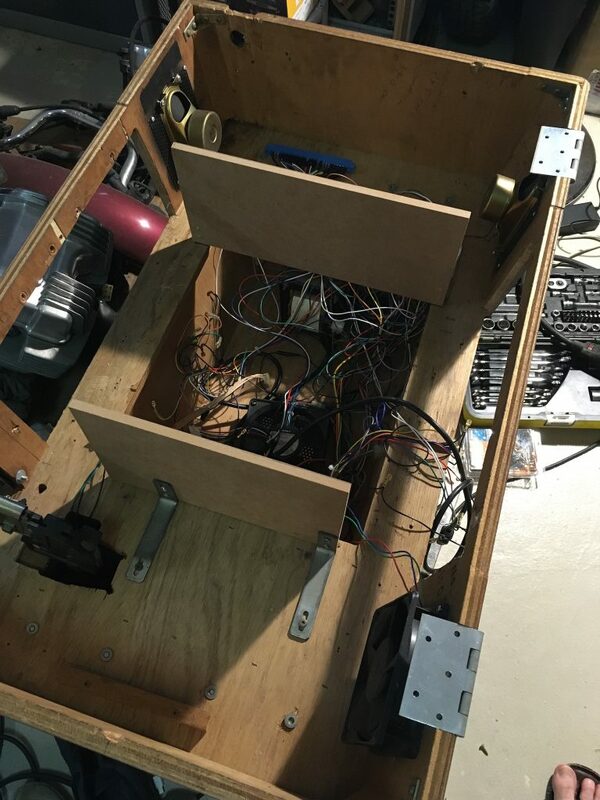 I made the lid window bigger and once it’s closed, the monitor can’t move at all! The glass on top of it will secure everything in place. I really like this solution because it didn’t require any dangerous drilling in the monitor case, or uncasing. This is how much bigger the new screen is compared to the old CRT!